Featuring a full range of panels for every application. With a wide range of 'off the shelf' electronic direct on line control panels, with many built in features providing a versatile and multifunctional range of starter panels. Sizes from 0.37kW to 16kW. Single and three phase applications. Low voltage inputs for floats, level probes and other input sensors. QA50 single phase electronic control panel for one electric pump (or motor), with direct start. 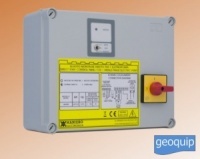 QA60 Three phase electronic control panel for one electric pump (or motor), with direct start. 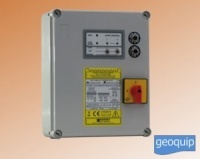 QMD20-SI2 Electronic single phase direct start control panel for 2 electric pumps.